Organic Coconut Palm Sugar is a low glycemic alternative to common sweeteners and can be used in any recipe. Honeyville's Organic Coconut Palm Sugar is a healthy, low glycemic alternative to common sweeteners. Coconut sugar looks very similar to brown sugar, and has a moist, crumbly texture. It also has a caramel flavor all its own that is both sweet and unique. It's the perfect sweetener for desserts, drinks, recipes and more. 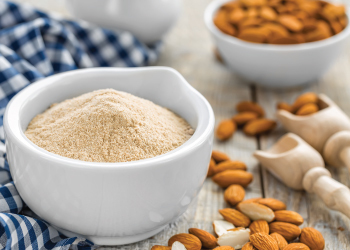 This sugar contains more minerals than brown cane sugar, such as potassium and phosphorus, all while being 100% natural with no artificial colors, flavors, or preservatives. Being certified organic through the USDA, this coconut sugar is the best sugar replacement for your pantry. Shelf-Life: Coconut Sugar will store for 2 years in a 14 ounce bag, a 5 pound bag, and a 55 pound bag under ideal storage conditions (cool, dry place). Uses: Substitute Coconut Sugar with any recipe to make healthy organic meals that are sweet and delicious. Used as a 1:1 straight replacement of sugar. 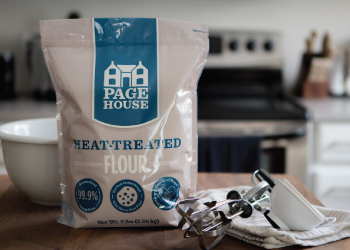 Packaging: Coconut Flour is available in a 14 ounce bag, a 5 pound bag, and 55 pound bags. Packaging may vary. Ingredients: Organic dehydrated coconut palm nectar.